......this world map John brought home from work. It's not vintage but I think it looks great. The kiddies are having a great time searching for different countries. 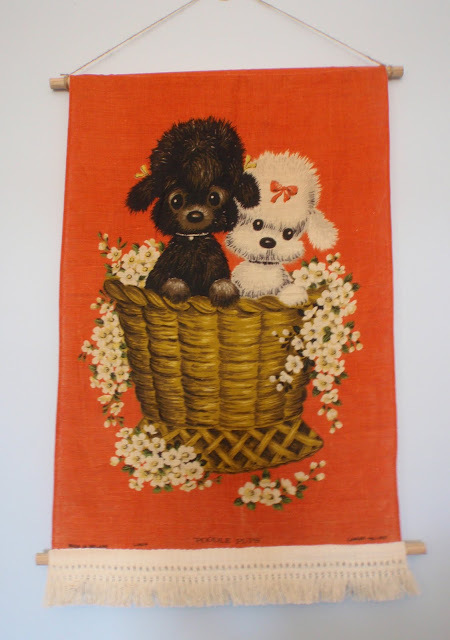 .....this sweet vintage tea towel wall hanging. I actually made this on Sunday night but I've only just managed to hang it on the wall and take some photos. It was really easy to make. All I did was make casing on either end, add some fringe, thread thru some dowel, then add some garden twine....easy peasy. .....this finished 'made to order' Gnometown Pinafore. 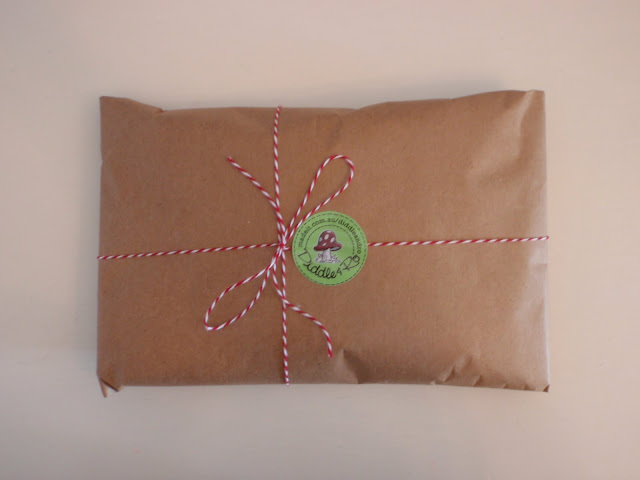 One lucky little girl will be very happy when this sweet package appears on her doorstep. 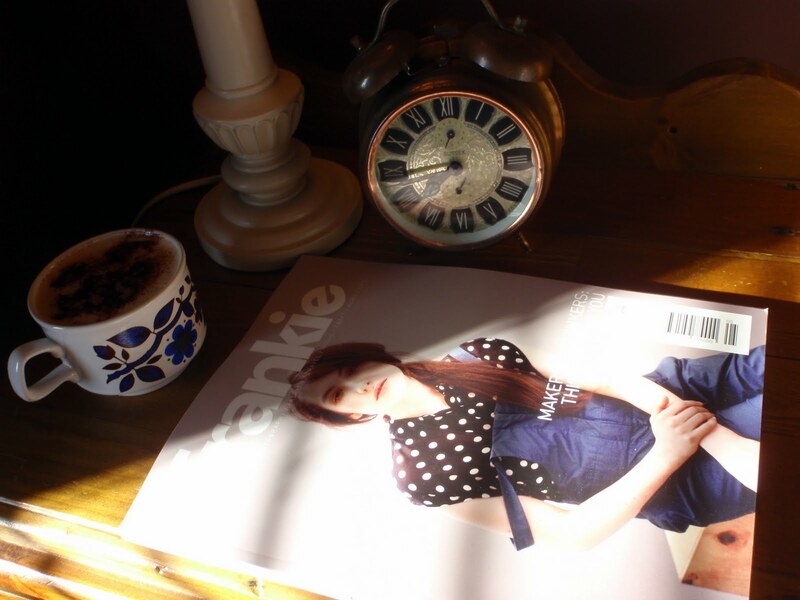 What I like most about Wednesdays, is that Miranda goes to after school care, so I have time to relax with a cuppa and a favourite magazine....bliss. 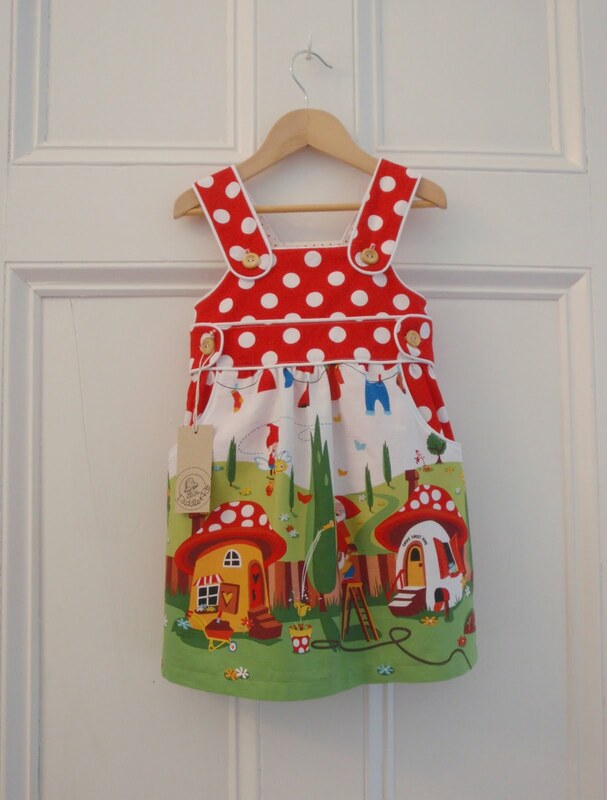 That wall is so cute and that dress oh that little girl will love it! 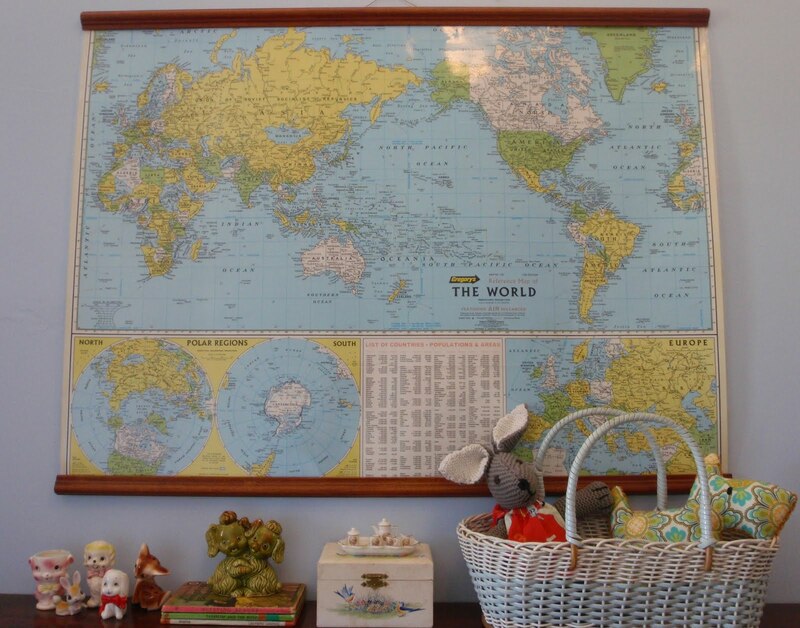 OMG I love that map, I'd love to find something similar for my daughters wall, one day hopefully! 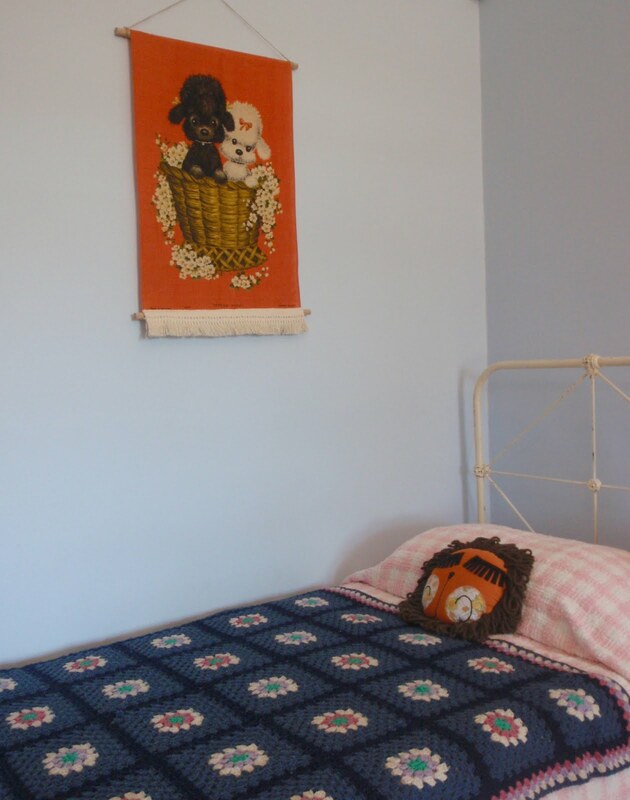 I really like the fabric on the ?soft toys in the basket under the map too, and that bed and the crochet blankie...ok there's not much here I don't love put it that way!! !